The Visegrad Four Group (V4), which consists of Poland, the Czech Republic, Slovakia and Hungary, support the creation of a free trade zone between the European Union and Japan. The Bulgarian capital Sofia was labeled as one of the best destinations for opening a manufacturing plant in Europe. 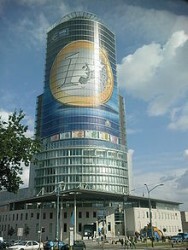 Ukraine and EU share Energy Diversification Plans - Energy Community Official. 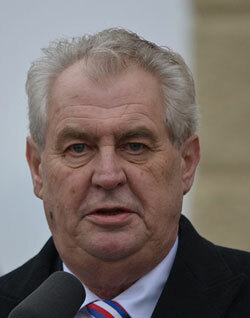 Statements made by Czech President Milos Zeman concerning the dispute about the appointment of ambassadors during his recent visit in Vienna, have incensed Czech Foreign Minister Karel Schwarzenberg. Compared with other countries, Slovakia’s R&D spendings are little but slowly and steadily they are increasing. Among the countries with the highest growth rates of R&D spendings, Slovakia ranks 5th. 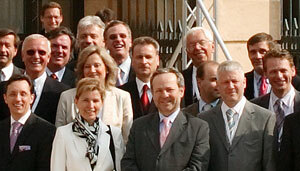 V4 Foreign Ministers have declared disapprobation of Slovenia joining the group. Ongoing difficulties and slow economic growth in Eurozone are the main factors. New fiscal rules should reduce risk of self-defeating austerity. There is no need for CEE countries to raise taxes if they stick to growth-friendly policies and cap real increase of expenditures below 1%. 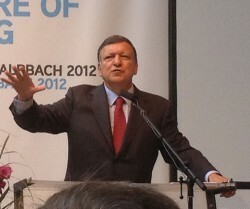 Barroso pointed out his interest in avoiding losses for Slovakia. 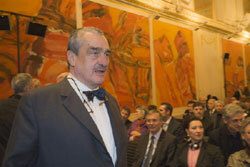 Experts are supposed to examine the effective use of funds and Slovakia’s financial engagement. US Steel and the Slovak government have come to an agreement which allows the steel manufacturer to stay in Eastern Slovakia. The proposal made by Czech’s president Milos Zeman does not arouse enthousiasm among Slovak citizens. Production still driven by the automotive industry. Industrial production in January 2013 increased month-on-month by 4.1%. The three-month moving average of economic sentiment indicator (ESI) increased by 1,8 points to 90,4 compared with the previous month´s value. Foreign investors regard the Czech Republic more attractive than Slovakia. Analysts forecast the GDP growth to be less than one percent. Gazprom and MND Group are going to invest € 100m in a gas storage facility near the Austrian border. 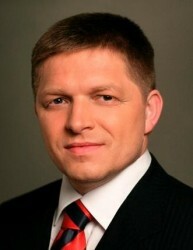 In a speech at the congress of the Czech senior opposition Social Democrats (CSSD) on Saturday, Prime Minister of Slovakia, Robert Fico explained his future plans. In February, compared with January, consumer prices did not change in total. Increase in prices only in Education, Food and Health Industry. In January, compared with January 2012, the employment decreased in five surveyed sectors. 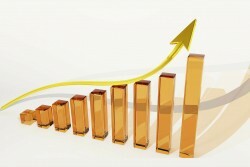 The Slovak Statistical Office has published the turnover figures in selected sectors of economy in January 2013. Slovakia's industrial output grew 3.4 percent year-on-year in January, the Slovak Statistics Office (ŠÚ) informed on Monday, March 11. In January 2013, construction output decreased, year-on-year, by 14,1 % to EUR 206,9 million. After seasonal adjustment, it decreased by 3,3 %, compared with December 2012. The Slovak population has apparently lost its enthousiasm about EU politics. According to polls, only 40 % say they were interested in the current events. Compared to Q 3 of 2012 this means an increase of 0.2 %, by y/y the GDP rose by 2 %. The Presidents of the Czech Republic and of Slovakia will have a last meeting tomorrow. 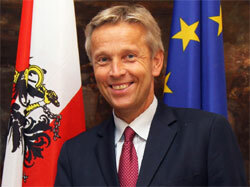 The Slovak internal trade sector shows mixed results. Turnover in the wholesale segment was up, retail trade was down. The results of business survey and economic sentiment indicator in February 2013 were published today. Growth estimates are lower than predicted by NBS. Export sales lag behind and the domestic economy is in a recession. Opposing parties blame the new labor regulations. Prime Minister Fico blames stagnating economy for highest unemployment rate since 2004. The draft amendment to the Banking Act will not affect competition, the National Bank of Slovakia said. Unlike the Eurozone, Austria will record a positive growth rate this year. Within the EU, the situation is highly different. “CEE growth drivers intact but innovation is needed to start convergence 2.0” Erste Group says. CEE significantly more industrialized than euro area (30% vs. 19%) but still needs to catch up in terms of competitiveness. Euro area GDP down by 0.6% and EU27 down by 0.5%. The CESEE countries show mixed results. Lithuania, Estonia and Latvia have performed best in 2012. Flash estimate of Gross domestic product and Total employment in the fourth quarter of 2012: economic growth and employment are declining. In January 2013, a year-on-year inflation reached a value of 2,4 %, in total, core inflation 2,8 % and net inflation 2 %. Despite the higher income tax rates, the Slovak state revenues are expected to fall by € 360m this year. Unlike their counterparts in Central and Eastern Europe, Czech bankers are relatively satisfied with the performance of the domestic banking market. 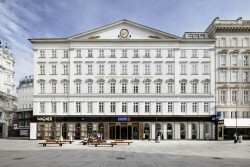 Erste Group’s Slovak subsidiary co-refinances City Business Centre in Bratislava with EUR 34.5 million. CESEE office market is undergoing a stable development; rental levels remain largely solid in most of the region, Erste Group says. Turnover was down in most selected sectors of economy in December 2012. The sharpest decrease was observed in the construction industry. The development of employment and average monthly wage in selected sectors of economy has shown a mixed picture in December 2012.